The Banqueting House in Whitehall, designed by Inigo Jones and once the court of the early Stuart kings, is one of London’s greatest landmarks. With its recent restoration project now complete, it is now available for the first time for day-time events and, to show-case its unique qualities, a carnival of London’s finest party planners, caterers, stylists and media specialists were invited to a fabulous lunch under the Rubens ceiling of the main banqueting hall, followed by a series of workshops and an after-aprty in the crypt. 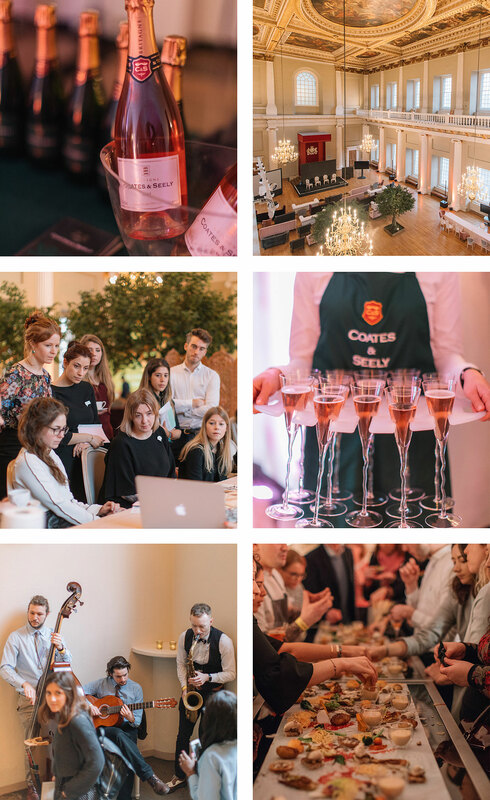 Coates & Seely were delighted to be asked to supply their Rosé NV at the after-party, which was perfectly complemented by utterly delicious canapés crafted by Rhubarb Catering.